Taranis, an Israel-based provider of high-resolution agriculture aerial imagery and deep learning, today announced the acquisition of all Mavrx assets, one of the world’s leading agriculture aerial imagery providers. Effective immediately, current Mavrx and Taranis clients have access to a powerful combination of aerial imagery products and precision agriculture services for their fields. With the acquisition, Taranis will add San Francisco-based Mavrx’s UHR imagery product to its existing product and services portfolio. Combining Mavrx UHR with Taranis AI, the world’s highest resolution aerial imagery product, gives farmers more power and control. 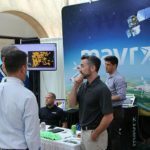 As the most broadly available full-field imagery product on the market, Mavrx delivers 8cm-per-pixel resolution images provided by a fleet of 60 planes in 30 states across the U.S. Capable of recognizing and classifying weeds, diseases, insects and nutrient deficiencies on a single leaf at a resolution of 0.5 millimeters from a plane while flying at 120 miles per hour or from drones at 30 miles per hour, Taranis AI gives farmers a way to effectively monitor and protect their fields. In addition to UHR and AI, other features provided by the Taranis platform include: variable-rate prescriptions, weather analysis with access to 220,000 weather stations, satellite imagery analysis and disease prediction models. Taranis will now manage more than 20 million acres on its precision agriculture intelligence platform to provide insights for top retailers, input manufacturers and large farms. Mavrx sales and operations teams will join Taranis U.S. operations to provide the best possible service to existing and new clients looking to optimize their production. I think your headline is backwards. Taranis acquires Mavrx. You CANNOT identify nutrient deficiencies with remote sensing/aerial imagery.